Lead generation is one thing and lead conversion another. The vast majority won’t convert on their own simply by following your standard funnel—they’ll often need that extra little kick to make them pick up the phone or make a purchase. Whether you’re in a product or service-based business, here are some helpful tips to boost your lead conversion rates. Before you can improve your lead conversion, you’ll want to put some effort into qualifying and segmenting those you’re generating. How can you tell who is likely to make the purchase compared to someone who is probably window shopping? Look at those who have converted and identify patterns, so that you can put the structures in place to mimic that journey with others. Your customers will vary in their needs, their budgets, and how they like to do business. Tailoring your communications to these factors will instantly pump up your conversion rate, while also increasing engagement and connection with your business. Another widespread issue is forgetting to communicate the value of your product or service as an investment. Particularly for high price points, it’s too easy for potential customers to convince themselves that your offering is not essential. Instead, they’ll put it on their list of nice-to-haves when business is going well, and quite likely never get around to reaching out. To target these almost-buyers, the secret is to place weight on the return on this initial investment—how are you going to revolutionise the way they do business or live their life? As well as inserting this type of communication into your lead conversion and lead generation funnels, it’s the proposition that should underpin your entire business, and therefore be front and centre on your website and your pitch. It’s completely possible that your USP will change over time as you get to know your customers and your target market. Every six months or so, revisit your pitch and your web copy to ensure that it’s as relevant to your current market understanding as possible. One of the most fundamental mistakes that’s common across organisations’ digital marketing strategies is also the most basic—they forget to flat-out ask. It’s called a call to action, and it’s a must-have ingredient in every piece of communication in your funnel, be it a landing page, an email, or a pop-up window. A well-timed and well-placed ‘Ready to buy? Here’s how’ can work wonders for your conversion rates. Landing pages are not just great for sending your readers exactly where they want to go. They’re also spectacular for tracking lead generation and conversion. Rather than making estimates about your website traffic, you can specifically see which campaigns were successful and which could do with improvement. Landing pages should be designed to convert, and they’re instrumental parts of all the best digital marketing strategies. That means having a strong heading or value proposition, a clearly-placed CTA, and minimal detailed information. Follow the best practices for quickly conveying communication, like including headings, dot points, colour and imagery where needed. For starters, here are 15 web design hacks that convert traffic into leads. We all love free stuff. We particularly love it when it’s exactly what we’re after. If you want someone to sign up, and you can see they’re engaged with a particular content topic, offer them an ebook designed to address the most common mistakes and how to avoid them. If they’re hovering around your shopping cart, but aren’t following through, offer them a discount to sweeten the deal. Similar to an earlier point, adding a deadline to convert can bring that much-needed sense of urgency to your would-be customers. It might be a simple ‘Buy before this date for your free gift’, or it might be one final email to non-responders announcing that this will be your final communication with them unless they would like to make a purchase. As well as upping your lead conversion, this one weeds out the bad leads and helps you refine your digital marketing strategies regardless. When you’re in the headspace of your customer, you’ll be able to better anticipate what they’re thinking, and what potential issues they might have with your product or service. Send a piece of communication that resolves it and you’ve broken down one more barrier to purchase. Is your product tricky to grasp? Send a how-to video. Perhaps you know that your leads are often stolen at the last minute by your competitor. Write a piece comparing your offerings, and why yours is the better choice. An FAQ page on your website is another handy tool, as is a pop-up chat window for people who want a question answered before they commit. For service-based or high-cost product-based businesses, it can be quite remarkable to watch how much a simple follow up call can nudge people into taking action. For one-off, lower-cost products, this kind of time and effort is going to be a waste of your resources. But when we’re talking about ongoing clients or serious figures for every sale, it can certainly be worth your while. A phone call is better than an email for a number of reasons. First of all, it’s instant. It encourages action in the moment when you have them on the phone. Second, it’s more personal. Connecting to an actual human voice is extremely valuable, as most of us know that the majority of our emails come from maligning lists and are subject to spam filters. Third, it’s more of a transparent two-way dialogue. This can be your chance to answer any questions and give your final conversion pitch. Mike is CEO and Co-Founder of digital marketing agency, Social Garden. Social Garden specialize in data-driven customer acquisition solutions to grow companies’ revenue in different verticals in Australia. Did you know that the word “nice” used to meant “foolish” or “frivolous” and later became “finicky” or “fussy” not until the 1700s did it come to mean “pleasing” or “pleasant”. In business and in the techno sphere, the word “hacking” used to connote a negative meaning as to gain access to a computer illegally, but as the world evolved with new technologies the word “hacking” now flaunts a much sensible, positive meaning as to manage successfully and even compounded with the word growth which is now a business jargon “growth hacking”. Wonder how it came be? Then hack some information from here. CTAs or call to action on your homepage will drive visitors to become more interested to see more information and will help direct them towards the initial stage of the buyer’s journey, emphasized by Startup Nation. Also, flaunt some sticky posts that highlights your best content and add some must-read sections of your best content that can be easily read by visitors. The re-targeting technique will allow you to get back to website visitors and turn them into possible qualified leads. Download Digital Marketing Statistics 2017 here! Design a unique offer that is compelling enough for visitors to give up their email address in exchange of your opt-in offer. Also, be mindful of your target’s needs. Give them offers that will address their most common pain point. You may employ a free AdWords GRader like WordSteam. One tactic may work best at the start but less after some time. Note and keep best practices but feel free to tweak some points along the way. Compare and contrast your headlines, messaging, button copy, image and other elements. A customer relationship management (CRM) tool is an essential tool in keeping track information and nurturing leads but if your marketing budget won’t permit a purchase yet, an excel sheet will do for the meantime. Develop a lead scoring criteria that will evaluate your leads of who the ideal customers would be. Identify if your prospect is worth pursuing. Link Webinars In Your Content – webinars are effective, low-cost tools to get your message in front of your audience and generate good number of qualified leads. Link your content directly to your webinar as 52% of marketers believe that webinars and seminars are the most effective methods for generating targeted leads. tweet this! Use Google as your Log In – create a simple sign-up flow for your customers via Google. Take for example SugarCRM and Trello; Flickr via Yahoo, Pinterest and Vimeo via Facebook. Separate you lead generation team from your sales team – acknowledge each team’s forte and let them focus and succeed on it. The world of lead generation keeps evolving and change is inevitable in many aspects of the matter. One can shop many different, new tactics to grow their business but not all would work best at all times as a load of these tricks may just be be overwhelming. So do a careful study of what your business requires and take things one at a time. Is B2B Lead Generation really just about the numbers? Sales will always be about a numbers game. But when it comes to B2B lead generation, don’t just focus on a higher number and forget about the quality of leads produced. For the B2B lead generation in Australia, the quality of leads delivered is considered the number one challenge they’ve encountered. Here are some factors to consider when doing B2B lead generation. Multi-channel marketing. The channels used to attract and interact with your potential customers. Nurturing. How you manage and communicate with your prospects. Sure social media is a good way to attract prospects and email marketing to nurture leads. Inbound lead generation process of converting visitors into prospects is still considered the most effective. But don’t forget about outbound marketing practices such as telemarketing as they say it is the fastest way to convert prospects into a solid lead. Not to mention it can prove a higher quality of leads. However, regardless of your numbers, your lead generation campaign won’t be a success if you don’t know your metrics. You make sure to publish 2 blog posts in a day but you’re not getting enough traffic for your website. You have a high web traffic but no or very low conversion. An outsourced company delivered 50 leads but you only converted 5 into a sale. Cost per lead. The amount paid or spent / the number of leads delivered (regardless if they were converted or not. Lead quality and closed rate. The amount paid or spent / the number of leads converted. It’s odd because 50- 55% of business owners and marketers measure the cost per lead and the number of leads delivered. If you really want to determine whether or not you should continue your B2B lead generation campaign, you should first take a look at how many leads are qualified that can be easily converted. This goes to show that most companies just want to generate more leads as possible, thus putting more emphasis on quantity alone. It’s the instinctive nature of humans to be overwhelmed with numbers, creating the illusion that “more is always better.” Bottom line is quality is always important if you want you B2B lead generation campaign to become successful. If you are just going to focus on the number of leads without measuring its success, then the effect in the long run will not be as pleasant as what you might think. It’s not supposed to be just a numbers game. Measuring quality and success rather than cost and volume warrants a much elaborate process, but the benefits can make future endeavors easier and more promising. 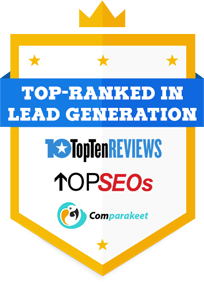 Discovering how high-quality leads are extracted will determine the success of a business; besides, isn’t that what lead generation is all about in the first place? https://www.callboxinc.com.au/wp-content/uploads/2013/10/Untitled-design-23.png 352 800 Dara Lin https://www.callboxinc.com.au/wp-content/uploads/2019/01/callbox-logo.png Dara Lin2013-10-14 02:30:292018-05-14 11:40:35Is B2B Lead Generation really just about the numbers? Confidence – how you walk, how you talk, how you dress up, etc. all play a critical role in the eyes of your prospects. If you want to create a positive impression, you need to act and look confident; like you are in control of things and that you can do a real good job at it. These are very important when doing business deals with them. Naturalness – basically, if you sound scripted during your appointment setting call, then you are out of the game. Yes, you need to sell something, but you need to do that in a manner that is natural and normal. Do small talk with your prospects, integrate their words to what you are pushing, tell jokes, and the like. Not only will that build rapport, it will help you in nurturing them. Listening – how many times have we been told to just shut up and listen to what our prospects say? Perhaps a lot. But there is a reason for this. If all you do is talk and talk during the telemarketing campaign, all that would happen is your prospects hearing how great your company is and that they do not have to tell you what their problem is. Really, that would be a dumb marketing move. You need them to talk before you create any solution. Certitude – assumptions are never good for business, since they tend to be wrong and create a whole lot of trouble for you in the end. If you are in the business of providing tailored solutions to customers, make sure that you got all the information that you need straight from them. Making a wild guess is never good in terms of end results. Creativity – all right, this one is a quality that not everyone has, including you. If you think that you lack creative juices for your business, you might want to do ask someone who can help. Mark Zuckerberg sought Sean Parker’s expertise for his fledgling social network. See where Facebook is now. Just for you to get the picture. These keys are crucial in pushing your business forward. As long as you can carry these out, your lead generation efforts will not go to waste. Set you bar too high – yes, this is unrealistic, but if you constantly push yourself to reach impossible goals, especially ones that exceed the average of your appointment setting colleagues, then you will find yourself improving way better. Keep yourself motivated – basically speaking, have an end in sight. Once you have reached that end, try creating another goal. Maintaining a proper motivation will help you reach your B2B leads goals much better. Believe in yourself – this can be a real game-changer. How can you make people believe in what you are offering if you do not believe in it yourself? Before you go marketing your product to prospective sales leads, you should market to yourself first. Another thing you should remember would probably be the content. Regardless of whatever marketing tool you use, be it social media or telemarketing, you need to stay consistent in your message. This would be the first thing your prospects would be looking for. As for the other three, well, now you know them, it would be easier to do it. Greed – maximizing profits is good, but too much of a good thing is bad. Never take on business leads that may give you profits now, but can prove to be a headache to your business later on. Greed compels marketers to chase short-term rewards, without regards to what the future has in store. Gluttony – trying to collect all the sales leads that you want may result to a glut in your pipeline, slowing performance down, as well as failing to deliver promised services to your clients. Remember, there is a limit to how many accounts you can handle. Too many, and you will not be able to serve all. Lust – being the business owner presents a lot of temptations, like buying a few luxuries here and there. While rewarding yourself is fine, spending on extras can reduce the available funds that might be needed for your appointment setting campaign. This is very risky for business. Sloth – just because you are the business owner does not mean you can just sit back and relax. Truth to be told, this position is exactly where the most work is required. Besides, you have to take the lead for your employees to follow, right? You have to push yourself, even if it means joining your telemarketing team so as to reach your quota. Pride – ego is not that bad, especially if you want to create a strong image for your business. But if you let all go out of hand, you will fail to see the truth. Sometimes, you just have to swallow the bitter pill and admit that maybe, your current business set-up is not the best. Wrath – showing passion for your business is great, but it must not devolve into an emotional train wreck. People who get carried away by their passion tend to think irrationally, often going into destructive actions that, ultimately, destroy their business. Envy – comparing your business to others can be useful in setting benchmarks to reach, but if it begins to get into your nerves, then you are probably doing it the wrong way. People who let envy get the better of them often use their time and resources to sabotage their competition, neglecting their own potentials to grow and prosper. So, which of these lead generation sins are you guilty of? Handling a small scale business can be a challenge for entrepreneurs like you. It will not be surprising if you juggle between manager, accountant, promoter, travel agent, and auditor all at the same time. It does make you wonder if you still need to add strategist for lead generation. But that is the one thing you should never do without. Companies that lack a strategic approach in management weaken their ability to generate B2B leads. This, in turn, makes it harder for them to find additional sales leads that could keep their business afloat. So, how does one think strategically? Do not assume that the current thinking is correct – there is such a thing as market evolution. Yes, your appointment setting process may work, but it may not be effective today. You might have to reexamine your current strategy. Be ready to explore – even if you reach a dead end, you must be ready to explore all avenues in business. If it means adopting a different communication medium (like telemarketing) or tap a different market, you should do so. Have a little confidence – strategic thinking requires that you look into the unknown. You will not reach anything if your insecurity prevents you from taking the first step. You are always faced with choices – you always have to make a choice in actions. Strategic thinking is never a straight path. You have to constantly make the right decisions. All these play a key role in strategic planning for your lead generation campaign. How to make your product go viral is a challenge that every entrepreneur in the Asia-Pacific region would love to overcome. After all, once your products spread like wildfire, your profits would go skyrocketing. This is the dream that every businessman would want to achieve in their B2B lead generation campaign. But the question here is this: how will you pull that off? After all, a poorly executed product or service can go viral, but in all the wrong directions. This can damage your business-to-business talks, as well as your ability to generate qualified sales leads. While some entrepreneurs believe that going viral depends on luck, there are some things they can do to increase the chances that it will happen that way. For example, there is the need of the market. If you can appeal to your prospective buyers’ emotions, values, as well as integrate yourself in their lives, it all adds more power to your campaign. You should also possess a good level of visibility. This will make it easier for your appointment setting services to promote your business to potential B2B leads. Whether it is an in-house or outsourced campaign, having a telemarketing team is handy for telling your story. People love to hear stories, especially ones that resonate with their lives. So you should make some investments on it. Properly done, it can help you get the deals you need. So remember: market appeal, higher visibility, and relevant stories will help make your B2B lead generation campaigns succeed. Why Do Prospects Doubt You During Lead Generation? You lie – no one wants to do business with liars. And business relationships anchored on a lie are not just hard to maintain, they are downright bad for your company image. If you want to get the confidence of your prospects, make sure your telemarketing team speaks the truth. You lack research – this is one of the most fundamental acts in marketing, yet this is also one that is easily overlooked. If you want to impress your prospects, prove to them that you know what you are talking about, do your homework. Know more about the company, and it will be easier for you to generate sales leads from them. You disappoint them – after you have turned your prospects into customers, make it a point that you always deliver what you promise. Letting them down will only push them towards your competitors. Keep these common mistakes in mind, and you can make your lead generation campaign more trustworthy than ever. https://www.callboxinc.com.au/wp-content/uploads/2019/01/callbox-logo.png 0 0 admin https://www.callboxinc.com.au/wp-content/uploads/2019/01/callbox-logo.png admin2013-04-10 09:41:132018-05-07 17:40:35Why Do Prospects Doubt You During Lead Generation? One important factor that makes it possible for companies in Australia to success is in the business networks that you create. The power of social media has made it possible for companies to gather the business leads they need from their contacts. Of course, there are areas of opportunities in this method of lead generation. Among these is in the network creation in itself. When it comes to effectively creating networks, sometimes, stepping out of the social media game is necessary. In other words, you need to do it in person. That is where the fun part comes in. For example, you can attend seminars and forums. Not only will you learn something from speakers there, you can also interact with the other attendees. Who knows, they might be good candidates for your appointment setting campaign. Another thing you can do is to stop by a coffee shop. If you can do your work there, then do so. While you are at it, talk to the people who stop by and buy a drink. You can meet a lot of interesting personalities there, not to mention getting some inspiration that you can use to your work. You can also use your existing friends as networks. A little old-school networking can do wonders in getting you in touch with others of similar interests and industry with you. You might get lucky in helping your telemarketing team in. Really, there are a lot of lead generation opportunities in Australia, if you are willing to network outside the usual social media.